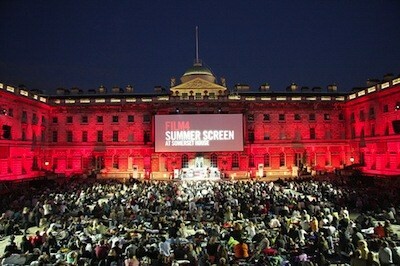 From 27 July through to 7 August, London’s Somerset House plays host to the Film4 Summer Screen. Events include the UK premiere of Pedro Almodovar’s The Skin I Live In (2011) and a series of ‘BEHIND THE SCREEN with BAFTA’ events that include talks with Joe Cornish and Barry Norman. ‘BEHIND THE SCREEN with BAFTA’ offers rare opportunities to hear directors, actors and industry insiders illuminate the films from this year’s programme, in animated and interesting discussions. This year, Behind the Screen explores the relationship between films and games through talks and workshops with support from Nintendo. Prior to the screening of Scott Pilgrim Vs the World (2010) on Thursday 4 August, we welcome filmmakers and games designers to examine the creative similarities between these billion dollar industries. Touted as London’s most beautiful open-air cinema, Film4 Summer Screen extends over a 12 day period featuring everything from UK premieres to cult action thrillers and romantic comedies to film classics that will all be shown on a state-of-the-art screen with full surround sound.